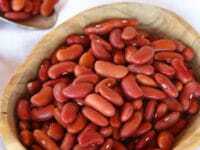 How to Cook, Soak and Freeze Red Kidney Beans – Learn how to cook dried red kidney beans to prepare them for use in recipes. Includes storage and freezing techniques. 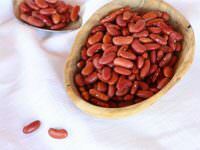 This tutorial will teach you how to cook, soak, prepare and freeze red kidney beans for use in recipes. 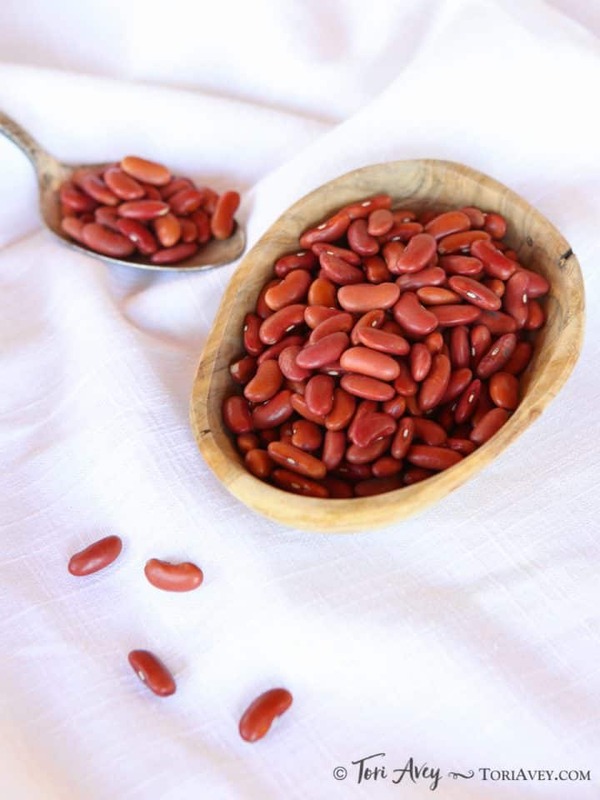 Red kidney beans are believed to have originated in Peru over 8,000 years ago, along with several other beans known collectively as “common beans.” They were cultivated in Louisiana during the 17th century and planted by Spanish settlers. When Haitians arrived in New Orleans, red beans and rice became a popular dish in the regional cuisine. Red beans hold up well during cooking, making them perfect for simmered dishes. Beans and legumes are a great source of fiber, protein, fiber, iron, B vitamins, potassium, magnesium and many other beneficial nutrients. I prefer dried beans over canned for several reasons. They are more economical than canned beans and do not contain the unnecessary additives like sodium. 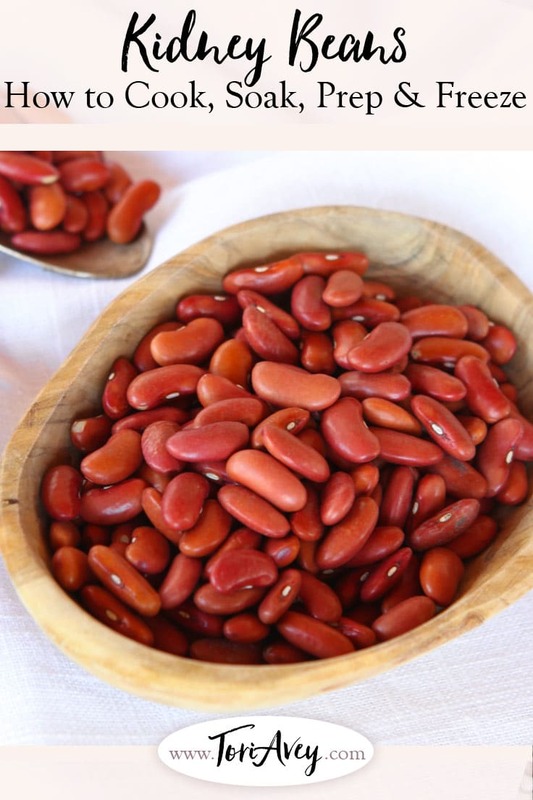 The method below uses a ratio of 10 cups of water per pound of dried kidney beans. If you plan to use a different amount, please adjust accordingly using this ratio. You may notice that the color of dried kidney beans that have been cooked on the stovetop are lighter in color (more pink) than canned versions (which tend to be deep red in color). I believe this has something to do with the cooking method involved. Either way, it’s not a cause for concern. 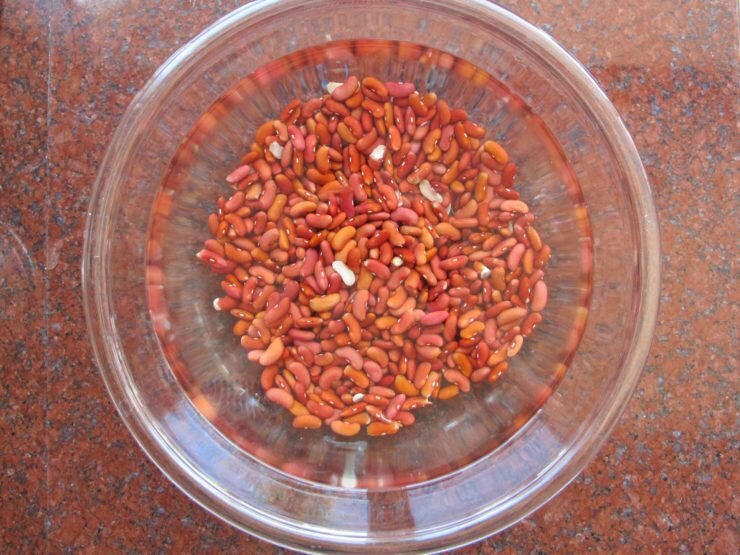 Learn how to cook dried red kidney beans to prepare them for use in recipes. Includes storage and freezing techniques. 1 pound (16 ounces) of dried kidney beans = 2 pounds 7 ounces (39 ounces) cooked beans, or a little over 6 1/2 cups of cooked beans. Serving size is 1/2 cup cooked beans. The method here uses a ratio of 10 cups of water per pound of dried red kidney beans. If you plan to use a different amount, please adjust accordingly using this ratio. In a large pot or bowl combine the beans with water at a ratio of 10 cups of water per pound of dried beans. Soak the beans in the water, either overnight at room temperature or through the quick soak method (outlined below). Soaking speeds up the cook time, helps the beans to cook more evenly, and makes them easier to digest. To quick soak the beans, you will need 1 hour. Place the kidney beans into the bottom of a large pot and cover with water. Bring beans to a boil. Let them boil for 3 minutes, then remove from heat. The beans will expand, so make sure you cover by several inches of water to allow for this. After soaking using either method, drain and rinse the beans. 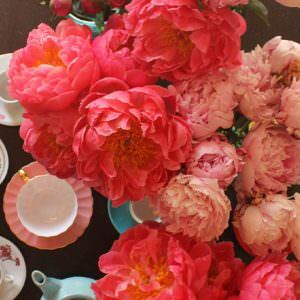 Place the beans in a large pot and cover again with the same ratio of fresh water. It is important to use fresh water for boiling; the soaking water contains oligosaccharides, released from the beans during soaking, that can lead to digestive discomfort. Add salt to the cooking water if desired to give the beans more flavor (I use about 1 tablespoon salt for every 10 cups of water). Place on the stovetop and bring to a boil, then reduce to a simmer. Simmer for 45 minutes, or until you reach desired tenderness. I recommend stirring the beans a few times throughout the cooking process so that the beans at the bottom of the pot don’t soften before the beans at the top. Once the beans have finished cooking, drain them in a colander. 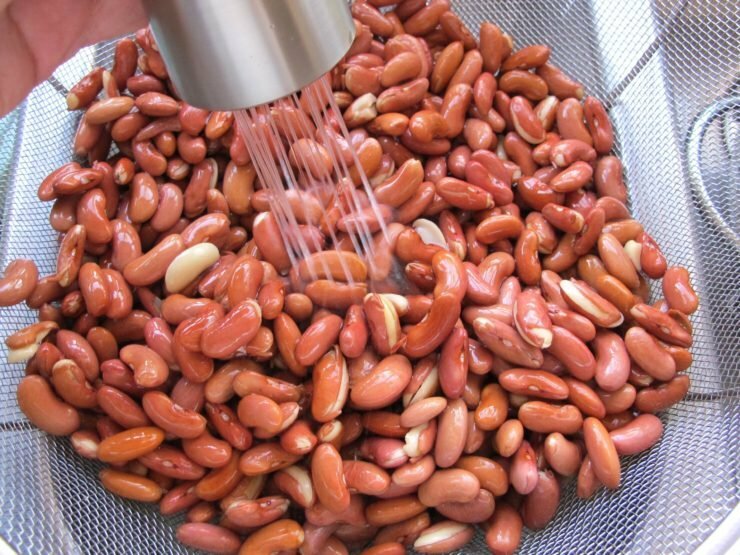 If freezing, allow the beans to cool, you can speed this process by rinsing them with cold water. Then transfer them to a freezer safe container, I recommend resealable bags, and freeze until needed. I like to measure out 1 ¾ cups of beans in each bag, which is equivalent to the amount in a standard sized can. They will keep in the freezer for up to 6 months. 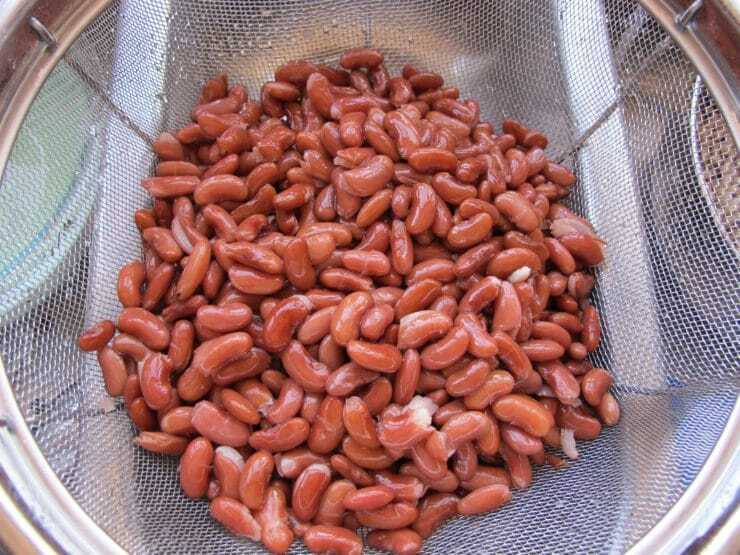 When ready to use your frozen beans, remove the beans from the freezer and thaw. 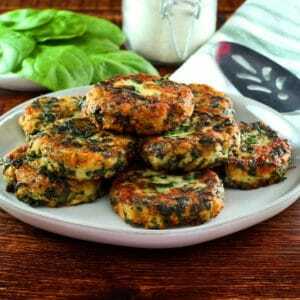 They can be reheated on the stovetop, added to soups and stews or used however you would use canned beans. Thank you for sharing this recipe. I have been wanting to feed my toddler some beans because of its nutritional benefit but have been wary of using canned beans because of its additives. Now i can move on using fresh beans to cook for my little one. your article is very good. I can’t wait to try it at home with my family. thank you for sharing the recipe with me. I’m waiting for your next article. Soaked kidney beans should not be used in the slow cooker, as noted in the blog post above. 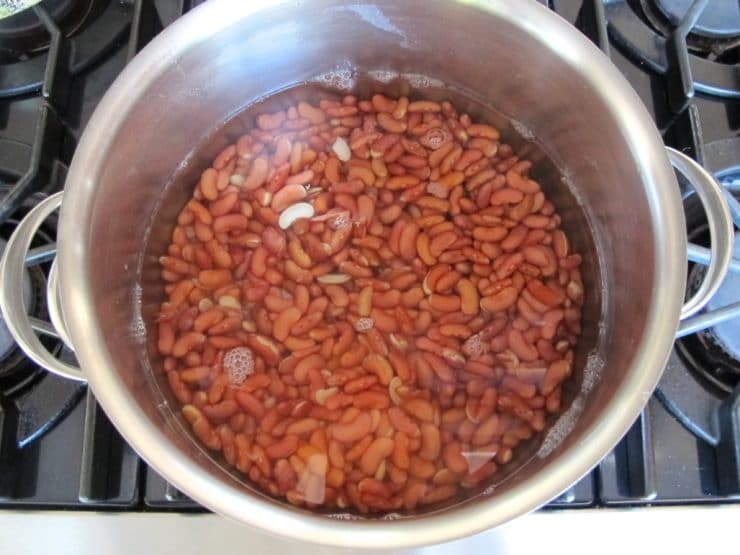 Though the beans are boiled briefly, the “quick soak” method does not cook them. I would recommend, rather than throwing out the ingredients, to simply transfer to a pot and cook on the stovetop instead, making sure you boil then simmer the mixture to cook it. 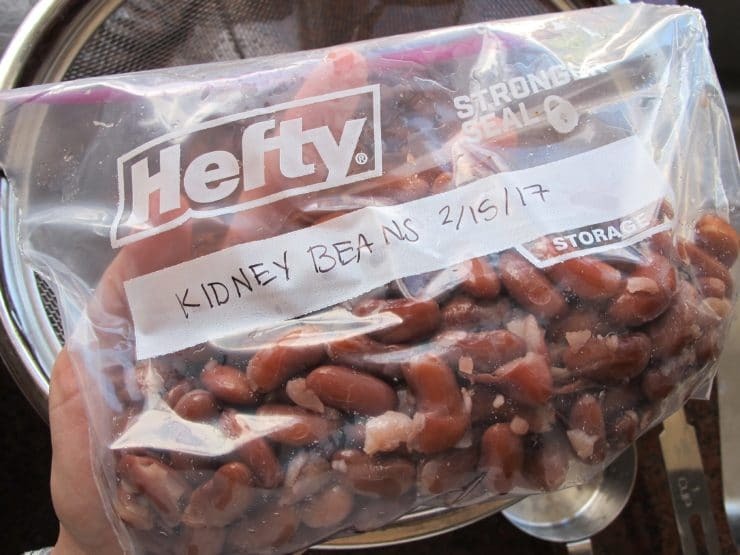 i have fresh kidney beans here and i can not find the right answer i want to know if i can used fresh kidney beans for a kidney bean salad. and how long do i cook them for the salad? Cook them using the instructions above, then cool, before adding to the salad. I don’t see the serving size mentioned anywhere in it , though. And I do not see any serving size listed on the nutrients list. How much constitutes one serving? Thank you for sharing this information. 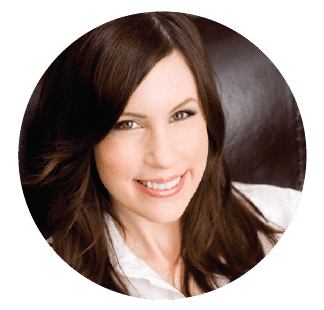 It’s going to make it a lot more easier for me – bulk cooking and storing. I’ve always loved cooking with red kidney beans but never fancied canned ones. I’ve always avoided using salt because of ‘the myth’ hardning. Can kosher salt be used? Thank you this is very helpful. I have to change my diet to high fibre foods and recently have been looking for foods and recipes . Thanks again the info is very helpful especially how to freeze. Regards. D Marran. Can you use the same recipe for black beans? Can you please advise if the cooking method for white kidney beans is the same as for red? Hi Andi, Tori’s assistant Ashley here. The cooking methods for white and red kidney beans are not the same. Great recipe! Thank you! I didn’t know about the dangers of just boiling dry kidney beans so I was very happy for the instructions. I am always suspicious of canned food which usually has ridiculous amounts of sodium, not to mention all the random chemicals that can possibly leach into the food from the lining of the can. My beans turned out to be even better than canned, without the chemicals and half the price! 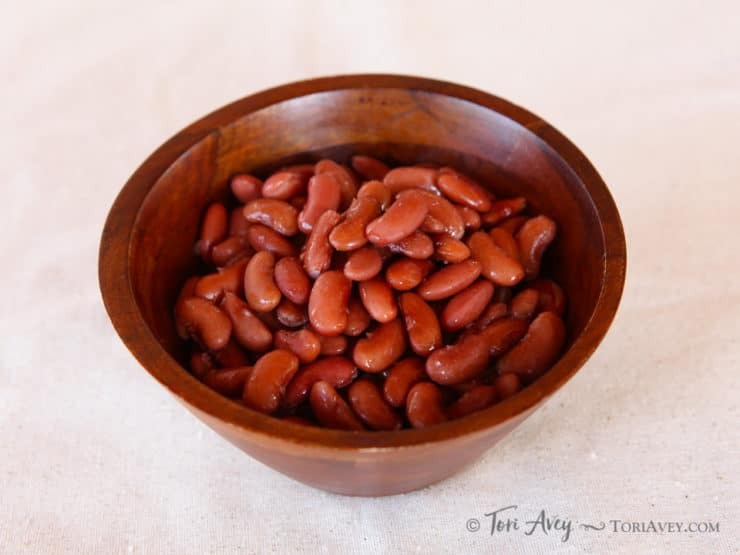 I soak kidney beans overnight then discard the water and rinse in clean water. My question is – can you use the water that you cook the kidney beans in – I like to cook them in veg stock and then use the liquid as a base. Thanks. Rosie . Hi Rosie, Tori’s assistant Ashley here. Yes, you can use the water that the beans are cooked in, but you should always discard the soaking water. 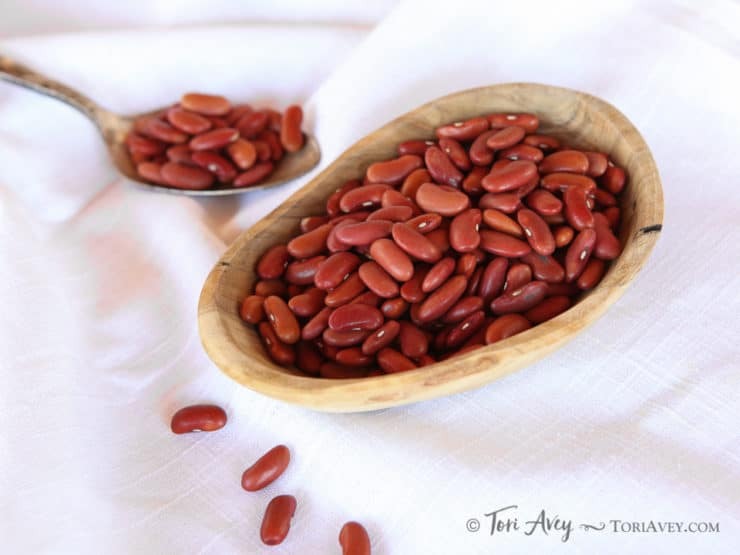 Hi Tori, trying to cook kidney beans for the first time – thanks for the useful information from your website! Read somewhere that beans should not be cooked using a slow cooker. Does this apply to kidney beans? Hi Lea! Actually, I think kidney beans are the only ones you are not supposed to slow cook (more details in the post above). Other beans should be just fine. If using the beans in a crockpot recipe – do you still have to boil them, or can you go right from rinsing to the crockpot recipe? I do not want to double cook if I am not supposed to. Celine, it depends on the type of bean and the recipe. For most types of beans, the recipe should say within the body of the recipe whether or not they should be rinsed, soaked or cooked. For kidney beans, the preparation is a bit different (and not all recipes mention this) – they can contain a toxin if not properly prepared. For kidney beans, the FDA recommends soaking for at least 5 hours, discarding the water, and boiling in fresh, clean water for at least 10 minutes, before using a slow cooker. Hi – thanks for your cooking instructions. Are you sure to add salt to the cooking water. I heard that by adding salt to the cooking water will take longer to cook and can make them hard? Actually, that myth has been debunked by test kitchen scientists. I’ve found that the salted water makes the end product taste better. But, it’s totally optional– if you prefer to cook without feel free! Very helpful. Easier than I imagined; thank you. I made a large batch and froze them in 3/4 C (can-sized) portions as you suggested. I won’t be buying any more canned beans! I think she said 1 3/4 cups equals a can. Which makes sense being as a can of beans is usually between 14-15 ozs. Thought you would like to know so you don’t just use 3/4 cups beans when your recipe calls for a can. ???? Wow! I am soooo happy I read your article on how to cook & freeze kidney beans. I was in the process of slow cooking my kidney beans in a crock pot and I was looking for ingredients to add and I ran across your article. I was clueless to the information you provided….needless to say I made some adjustments. Terrific! This takes the fear out of using dry beans which are cheaper to buy and readily available. Yikes Myra! You are correct. Not sure how that got omitted. I updated the instructions.